Poland, c. 1850. 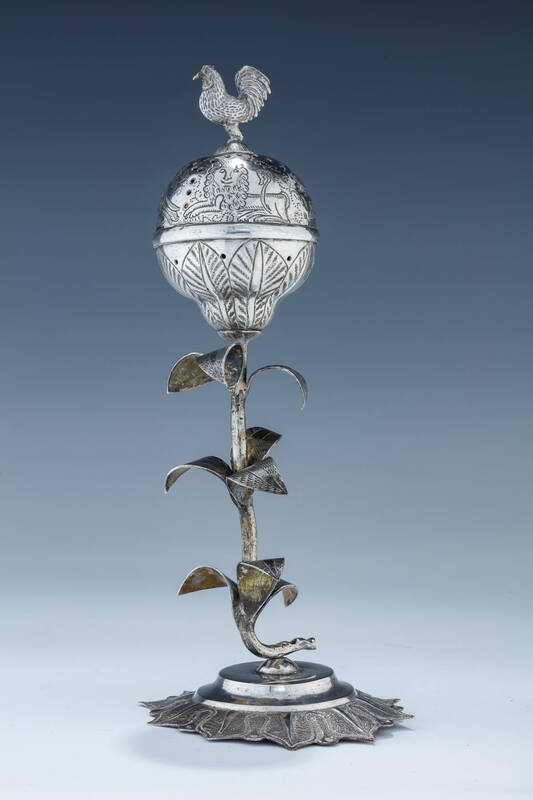 On stylized dommed base with leaf stem that attaches to pear shaped upper portion. Topped with a rooster. 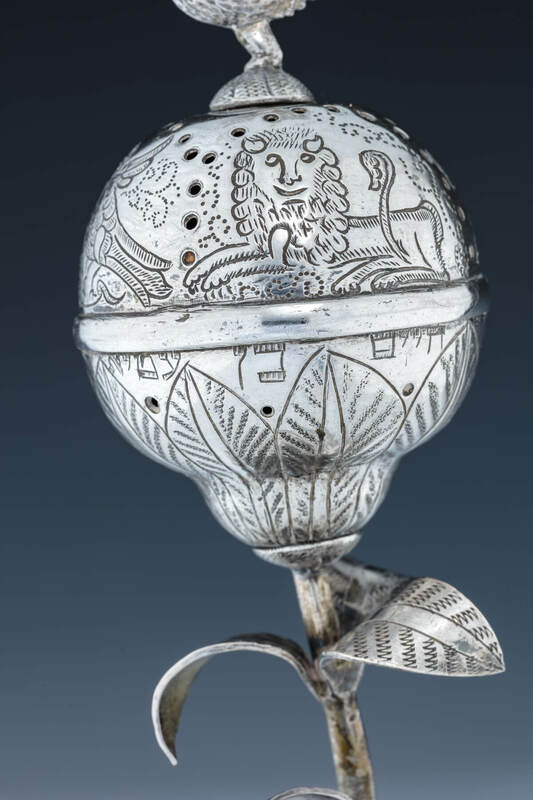 Upper portion engraved with a stag, a bird, a lion and organic design. Engraved with former owner’s name Chaim ben Ita. 8.5” tall.